Summary: As the twentieth anniversary of the independence of states of Central Asia approaches, it is appropriate to review what the international community has learned about the efficacy of regional cooperation in responding to the challenges that the Central Asian region has faced. 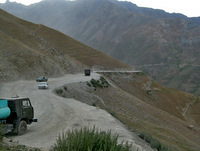 The article attempts to answer the question why the international community; particularly western defined or dominated institutions, have only been partially successful in working with the countries of the region to work towards the amelioration of these issues, and regional cooperation, cooperation between the five Central Asian states has been disappointing. As we begin to approach the twentieth anniversary of the independence of states of Central Asia it is appropriate to review what we have learned about the efficacy of regional cooperation in responding to the challenges that the Central Asian region has faced. The author of this article has written extensively on the causes of the difficulties of regional cooperation in the region, and the difficulties that the Central Asian leaders have in cooperation with one and another. This material is readily available on Carnegie Endowment’s website, and would rather use this opportunity to ask the question why the international community; particularly western defined or dominated institutions, have only been partially successful in working with the countries of the region to work towards the amelioration of these issues, and regional cooperation, cooperation between the five Central Asian states has been disappointing. There is both good news and bad news as we look at what has occurred in this region over the past two decades, which should give us renewed incentive to figure out how these international efforts could be enhanced. It is important to underscore that developments in the Central Asian region have been far less dire than was initially predicted by many outside observers. 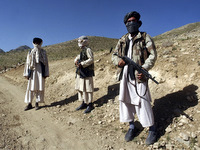 First, there have been no armed conflicts in the region since the end of the Tajik Civil War (1992-1997). This war, which was largely an inter-elite struggle, in which ethnicity played no real role, did not, as some warned prove to be a harbinger of other similar events in other countries in the region. Second, fears that strained interethnic relations would lead to wars or outbreaks of major instances of interethnic conflict within countries or across borders have also not been realized. These concerns were based on the unrest in the late Soviet period, which included clashes between ethnic Uzbeks and ethnic minorities in their portion of the Ferghana Valley (1989), weeks of fighting between Kyrgyz and Uzbeks in Osh and Jellalabad Oblasts of Kyrgyzstan (1990), cross-border clashes between Kyrgyz and Tajiks over water rights, during this same period. Uzbeks, Tajiks and Kyrgyz continue to live in close proximity without major incident, (minor incidents have occasionally occurred, provoked in part by Uzbekistan’s mining of this border). Also, despite the fact that at the time of independence there was over seven thousand kilometers of un-delineated border between the two countries, with millions of Russians and Kazakhs living in intermixed fashion near the borders of both of these countries, there have been no serious outbursts of inter-ethnic tension between the Russian and Kazakh populations. Also, the large outmigration of ethnic Russians from the Central Asia region has also occurred without violence in region or retribution from Russia, who had wanted this population to remain in region, as dual citizens. At the same time, keen inter-state rivalries do exist, and these also reflect existing rivalries between ethnic groups. But inter-ethnic relations at the communal level, even in border regions, has been pretty good by anyone’s standards, and certainly much better than anyone anticipated. Thirdly, all the talk about the tenuousness of the Central Asian states, that they were based on artificial political creations by Stalin and would be unable to make the transition to functioning nation-states have also proved to be empty pronouncements. While state loyalties have not keenly tested there does seem to be a basic form of civic patriotism developing throughout the region. Fourth, while Islam is playing a major social and cultural role throughout the region and in many countries it has also become a force or defining morality, there is very little evidence to suggest that the risk of radical Islam is an imminent one. It seems highly unlikely that the ‘talibanization’ of any of these countries is likely to emerge in the region for at least another generation and maybe longer. Whether or not a theocracy will develop in the region, depends a great deal upon whether the crisis in education can be addressed. Fifth, the break-up of the Soviet Union has occurred much more smoothly than many expected, including the division of assets. While many of the economies in the region are still heavily dependent upon Russia, most of these states are much less dependent upon the former mother country, than were the former colonies of France at that same time in their history. Part of the reason for this was Russia’s own weakness at the time of the USSR’s collapse. There are numerous potential risks to the security of this region. Some of these are ‘overflows’ from the crisis in Afghanistan. Central Asia is a critical transit route for Afghanistan’s opium and heroin trade, and the camps in eastern Afghanistan and Pakistan serve as training grounds to for Central Asians eager to learn terrorists’ crafts. There is also the risk of conflict over water resources, which appear to have been becoming scarcer in recent years. The old Soviet-era water distribution system has broken down but no long-term management structure has emerged to regulate the varying needs of upstream water producers who want to use water for energy and downstream consumers who depend on water to support their irrigation-based agricultural economies. Partly for this region, several Central Asian countries are suffering from acute energy shortages, especially in winter. While world prices of oil and gas have increased multi-fold since these states gained their independence, most consumers in the Central Asian countries have had only marginal increases in utility prices, and overall the gap between local utility prices and international prices is greater now then when they received their independence. The borders between the Central Asian states have not been fully delineated, nor have they not been fully demilitarized or demarcated, and there are serious difficulties in moving people and goods. There is an absence of a free trade regime and as a result there is no easy movement of non-TIR trade across national borders (by road and by pipeline). Labor migrants who work within and those working beyond this region lack proper legal protections. Many of these problems exist despite the efforts, sometimes quite extensive efforts, by Western multi-lateral organizations to try and solve them. Why have western dominated institutions been only partially successful? First, it is hard for western-dominated institutions to disassociate themselves from one and another. 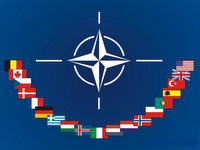 For example, if a country in the region is sanctioned by the European Union, all of the other western-dominated institutions (including NATO as well as the international financial institutions) find it difficult to disassociate themselves from this action, as they are seen as representing the same constituency. Secondly, the goals of western institutions are sometimes unrealizable because they compete with the agendas of other organizations in which the Central Asian states are members. For example, the Central Asian states participate in Partnership for Peace, and the NATO parliamentary assembly, and seek training through the auspices of NATO, but they are also members of the CSTO (Collective Security Treaty Organization) and the SCO (Shanghai Cooperation Organization). The latter two organizations (SCO and CSTO) had very different responses to the August 2008 fighting between Russia and Georgia, with the SCO response much closer to that of NATO than it was to the CSTO, attesting to how much more powerful Russia is in the CSTO than in the SCO. In some ways even more interesting was the gap in attitudes in the wake of the Uzbek government’s crackdown of protestors in Andijian in May 2005, which left several hundred unarmed civilians dead. The EU sanctioned the Uzbek government for its actions, and the US introduced some restrictions on the Uzbeks as well, but the SCO nations genuinely supported the Uzbek response, sharing a definition of security that is linked to ‘three evils’ secession, terrorism and extremism. And in addition to this shared definition of threat is a shared belief that non-democratic countries have same rights of response to terrorism as democratic ones do, and in the case of the SCO states, that the rights of the population potentially threatened by these security risks, than those charged with being responsible for them. Uzbekistan was the cause of the problem (especially in the area of water usage), and that the problem could be addressed by Kazakhstan, Kyrgyzstan and Tajikistan. Fortunately there does seem to be a growing western awareness that this is not a very fruitful strategy. Fourth, international financial institutions sometimes pursue competing or not fully compatible projects. This has been the case with projects for the creation of new transport corridors, where some transport projects are designed to serve Afghanistan’s development needs, or to by-pass Russia and/or Iran, or to favor Kazakhstan, or alternatively to favor Uzbekistan. Fifth, on a related issue, international financial institutions rarely provide full funding for a project, offering partial funding through grants and low interest loans. They require a local ownership that weak, and oftentimes not fully transparent corrupt (and not all weak regimes are equally corrupt) are unable to give. At the same time the international financial institutions are very inconsistent about making effective use of conditionality, applying what many in the region see as uneven standards and on the one hand criticizing some of the poorer governments in the region quite harshly for their lack of transparency, and then turning around and giving these same governments additional assistance. Sixth, the challenge of pacifying and rebuilding Afghanistan has created a distorting lens through which many international actors view developments and construct their priorities in Central Asia. This has been particularly true of the U.S. and USAID, but has also been true of the international financial institutions and their infrastructure and priorities for hydroelectric projects. But they have not done this by developing a win-win regional strategy for all concerned. Seventh, many of the development priorities that have been set by western institutions for this region have focused on the challenges of long-term development while regimes in the region (not surprisingly) are concerned with coping with short-term consequences. 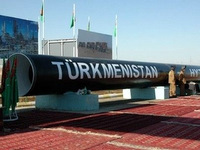 For example, when the idea of an undersea Trans-Caspian pipeline was first broached, no western institution offered to forward purchase Turkmen gas to compensate Ashgabat for the loss of revenue that would occur if Russia cut off gas purchases to punish them for signing up to ship their gas over an alternative route. By contrast, China’s authorities offered the Turkmen government a low-interest loan to cover lost revenue to divert additional gas to the still being constructed pipeline to China. Eighth, and finally, while energy security has been a priority of the U.S. and EU in particular in relating to this region, while framing the discussion in terms of helping to secure the independence of these states, the entire discussion has been shaped by the foreign policy priorities of U.S. and EU. For example, although the U.S. and EU advocate multiple pipelines, emphasizing that they by-pass Russia, they have never seriously considered the Iranian option (which is potentially much cheaper and easier to build than the Trans-Caspian option). While the EU countries are generally in conformity with the US (ILSA) sanctions against Iran, all of the Central Asian states maintain normal diplomatic and trade relations with Teheran. 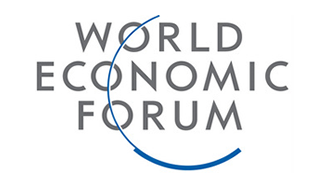 How Can Western Nations and Institutional Actors Be More Successful? Western institutions are losing their credibility in Central Asia. They are in woeful need of some successes in order to restore confidence in them as a source of advice as well as project funding. One way to help achieve this is to break problems into solvable pieces, in order to build confidence and enhance regional cooperation using a stepping stone approach to resolve some of the largest problems that the region faces. This is particularly true in the series of problems linked to the water-energy nexus. First, it will also be easier to achieve successes, if we think smaller and shortterm. There are some hopeful signs in this regard, as both the UNDP and the World Bank are realizing a small project approach to enhancing energy security in the short term must accompany projects that are directed to address national energy shortages over the medium and long term. In large part these projects focus on renewable energy resources, which are also used to enhance access to clean water projects at the household and community level as well. To date, though, outside of Kyrgyzstan, these projects remain limited in scale, and they are not supported by projects that are designed to stimulate investment in the production of component parts for renewable energy systems in region, a step which is necessary for the expansion of such efforts from pilot projects to mass access. In general there needs to be an effort to reduce dependence upon national grids to meet energy needs in localities. There needs to be more community based projects, and work on developing a legal environment that is supportive of the development of renewable energy, including the right of communities to sell surplus energy. This would be an important step towards reforming the structure of utilities more generally, a critical problem, but still a political minefield as well. This same approach should be applied to water usage in agriculture. 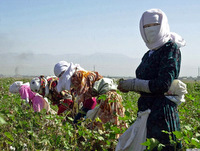 The international community has failed to incentivize several countries in the region (Uzbekistan, Turkmenistan, and Tajikistan) to engage in fundamental agricultural reform as it affects the cotton sector. Until there is a change in the basic economic philosophy of the regimes involved (and a move away from the purchase of cotton by state-dominated monopolies) it is unlikely that there will be dramatic changes in water usage patterns in the region. This means that we will need to focus on changing water usage patterns through small steps, by encouraging improved usage at the household level, wherever possible in ways that encourage economic diversification. These efforts can serve as a building block for greater political engagement of the populations at the local-most level, and could make them more effective in pressuring their national governments for economic and social reforms. Second, the international community should think more regionally, identifying a number of problems that are region wide, but that are not especially politicized, and work to get national ownership of projects that may not be their priority, but that they are willing to engage with. Two areas in which there are real opportunities for more regional approaches are the challenges posed by returning labor migrants and in education. All of the countries in the region, save Turkmenistan, are facing the challenge of economically and socially reabsorbing returning seasonal laborers who have lost jobs in Russia or Kazakhstan, due to the economic downturns in these countries. Retraining programs could have a regional focus, could be in Russian as well as in the local languages, and could focus on skills which are in short supply in all of the countries in the region. Similarly, all of the educational systems in the region, save possibly that of Kazakhstan (and then only in select urban areas) have deteriorated sharply over the past two decades, both in the physical plant of schools and in the quality of instruction. Every nation wants the freedom to set its own curricular guidelines and content. At the same time there are an enormous number of common projects that would potentially receive widespread government support especially as it relates to instruction in the fundamental sciences and mathematics. The internet is currently an underutilized network for sharing educational resources. All of the Central Asian states have supported the idea of expanded use of the internet in education, but most lack the funds (and often the electricity) to introduce it on a comprehensive basis. Moreover there are a series of inter-state agreements for cooperation in education already in place, which currently do not handle many substantive issues, but which could serve as the basis of internationally-funded enhanced cooperation. Thirdly, western institutions have to be more inclusive in designing projects for implementation in the Central Asian region. Russia has long been and is likely to continue to be a major actor in the area, and given China’s growing role in the region there has to be more direct engagement with policy-makers in Beijing as well. But there is a basic contradiction between the commitment to transparency of most of the western-dominated international financial institutions and China’s practice of giving assistance without strings to increase economic interdependence with China (in advancement of their national interests rather than the goals of sustainable development in the region). It is important to be realistic about how many Central Asian countries are likely to ever incorporate ‘European values’ in their governments or polities, goals which are implicit to some of the organizations that all of these states belong to, such as the OSCE. And there is an assumption in many of the development projects that western donors have supported in this region that the successful introduction of their projects will lead to a broader embracing of these very values. A state like Kazakhstan has gone so far as to declare its policies as putting the country ‘on the road to Europe’. It is important though for Western actors to be realistic about what can be achieved in the near or mid term. Let us not assume that pursuing policies that place their countries on a road to Europe will make the people of the region European or that in fact the Western nations are eager for these nations to ‘become European’. Europe has changed by incorporation of Central (former Eastern Europe and Baltic) Europe. And Europe would be changed as much as Caucasus and Central Asia, if these countries are integrated into Europe. 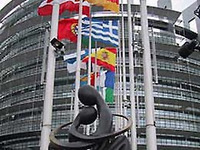 That doesn’t mean that the Central Asian countries can’t participate meaningfully and on an equal basis in some European institutions, but don’t assume that all the Central Asian countries want to fully adopt all of the European cultural and political value system, even if they are completely comfortable living temporarily or working in European-style environments. And over time they may move to adopt ‘European’ political norms. But for now, and possibly for the next generation, there will not likely be the kind of strong domestic roots for political reform that would be necessary to sustain them. Elite commitment to political reform is critical, as well, and we should not presume that a transfer of power to a new generation change will produce prowestern elites, in some places (and author does not include Kazakhstan in this group) generational change may lead to a group of people coming to power less commitment to western values among the elites. And in many countries (again Kazakhstan is rather an exception), the bulk of the population is becoming less pro-western over time, in large part because of the deterioration in the quality of education. Finally, we cannot assume a static situation, neither in Central Asia, nor in the broader community beyond it. Not to diminish the importance of Euro-Atlantic institutions in the region, and the enhanced role that they could play. But the 21st century could well turn into an Asian century, or the beginning of Asian centuries. Whether or not the Central Asian states get to Europe or not, they are still going to share Eurasia with the Europeans (as will the Russians), and this more need for dialogue across differing value systems than all the communities are fully comfortable with. Endowment for International Peace in Washington, D.C.